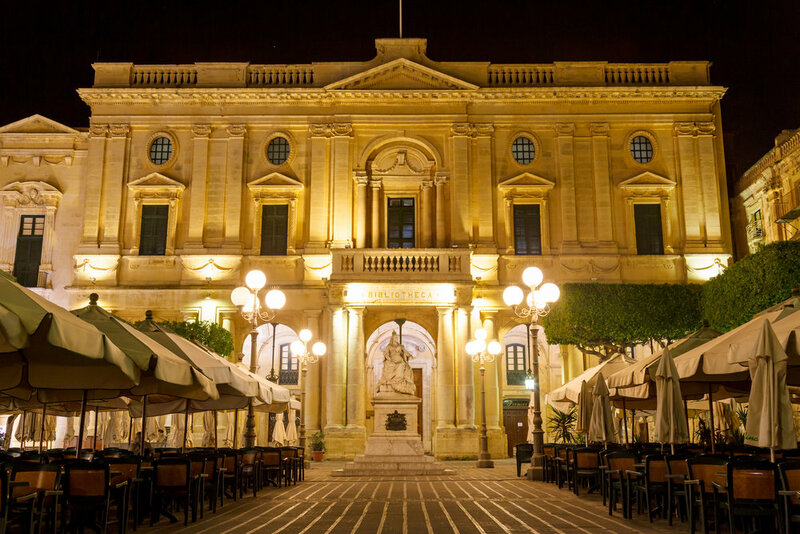 This tour shows the beauty of Malta’s capital city at night. We will commence walking through the main gate of Valletta recently erected on the design of Renzo Piano. We will proceed past Auberge de Castille entering the Barracca gardens with a magnificent view of Fort St Angelo and the Three Cities. The view from here of the beautifully lit Grand harbour with all its glory and history is truly unforgettable. We will then proceed along the roads of Valletta passing by beautiful buildings and palaces which are all nicely lit up at night. Dinner is optional.